If you’re running WordPress, you need to have some basic understanding of caching. Caching is a complex technology to optimize site performance. Quite a lot has been talked about caching on the internet but it still remains confusing because there are really so many options available. 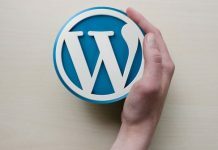 This article will cover the basics of WordPress caching, including the types and importance of caching, and several popular WordPress caching plugins. Caching stands for the process of having frequently-accessed data stored in cache. When a visitor comes to your website, they need to request information from your hosting provider, including HTML and PHP files, images, scripts, and fonts, apart from retrieving content stored in your WordPress database. As the visitor lands your website, his/her browser comes into contact with your web server. After the WordPress install retrieves information from your database, the web server will compile it into an HTML page and serve it to your visitors, therefore they’re able to see your website content, for instance, your posts. To ensure visitors are always get up-to-date information on your website, WordPress requests fresh information about a web page each and every time it is visited. In other words, WordPress generates content in a dynamical way. However, this causes the problem of loading times. Generally speaking, you can find two most important caching protocol types on the web. They are client-side caching and server-side caching, both of which are on the basis of client-server model. Now, you know why we keep suggesting you clean your browser’s cache regularly? Server-side caching contains many other caching protocols, such as page caching, database query caching, opcode caching, and object-based caching. Page Caching – This is the simplest caching protocol that saves the dynamically generated HTML files on server’s memory or hard disk and serves them from the cache every time a request is made. Some frequently requested queries to execute PHP code and MySQL database are saved during page caching. Database Caching – Database is used for storing, updating, and delivering data efficiently. A database is often huge and every query takes a lot of time. WordPress makes a query sometimes as it relies heavily on the database. By saving the results of a query in the local storage instead of re-downloading the same files and images again and again, WordPress delivers quite good speed experience. Object Caching – The Caching API, Transient API, and Object Cache are subsystems of WordPress’ internal caching system. You can use plugins to control the caching system and reduce the number of database calls. Opcode Caching—WordPress at its core makes use of PHP and in order to execute a PHP code, the web server should use a PHP compiler to compile the code and then generate the executable code. In the process of storing the output of the PHP compiler in the cache is called Opcode Caching. Whatever server-side caching type you want the WordPress to implement, you should ensure the data is stored in the local storage first. When your WordPress website is built on a shared web hosting server, storing the cached data on the hard disk is the only choice for you. But if you’re using a VPS or a dedicated server, you can choose the RAM as your storage for cached data. 1.It optimizes your site speed because static cached files always can load faster than dynamic database queries. 2.It helps save server memory and I/O operations. 3.It leads to higher rankings on popular search engines since page speed is also an important part of a successful SEO strategy. 4.Cached websites offer a better user experience from an overall perspective, as a faster site helps users browse better and a cached site means that the user’s bandwidth is saved. How to Select the Best Caching Plugin? First, you should identify your purpose of using a caching plugin. Then, create criteria accordingly. But what kind of criterion should you take into consideration? Here’s a simple list. Price. 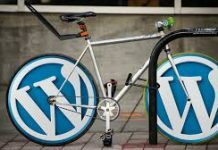 As you know, not all WordPress plugins are offered for free. Some even cost a few hundred dollars. Though some common features are included in both free and premium caching plugins, paid ones are usually more feature-rich and reliable. Complexity and intuitiveness. It depends on your experience with WordPress plugins—do you like getting a plugin sorted by yourself, or do you want a simple, detailed procedure to get you up and running? Power and functionality. If you’re running a large website, you may want your caching plugin to include extra features like integration with CDN, GZIP compression, and minification, which can help speed up your site. Support. 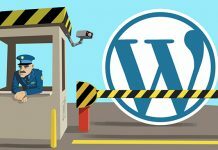 Some WordPress caching plugins lack support, while others may have support lines, documentation, or forums. Your choice depends on how much support you feel comfortable having. After knowing the basic criteria of choosing a caching plugin, you can select one from the following most popular solutions available. 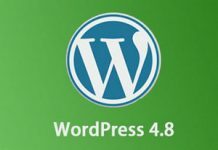 W3 Total Cache is the only caching plugin built within WordPress Performance Optimization framework, which is designed to improve page load times while boosting user experience. People love this plugin because it offers an intuitive yet powerful Settings area, which involves 16 separate pages and which is developer-friendly. As a beginner, you don’t need to worry about configuring the settings manually to make W3 Total Cache work because the default settings can work great already. In addition, W3 Total Cache features a dedicated Settings page that enables you to customize any type of caching, from page caching to database caching, object caching, and browser caching. WP Super Cache is offered for free. The caching mechanism of the caching solution is very easy to understand. It generates static HTML files from your dynamic WordPress site and then caches it. To decrease load times, the plugin provides three options, including using PHP to serve static pages, using mod_rewrite to generate static pages, and using a legacy caching mode to cache pages for login users. WP Fastest Cache can be the fastest yet simplest WP Cache system for developers. Likewise, it generates static HTML files from your dynamic WordPress site and saves it in the cache. WP Rocket is a premium caching plugin which includes a user-friendly interface that releases webmasters from perplexed technical terms and web programming. Once activated, the plugin functions correctly. In other words, you don’t need to spend time and effort configuring it. If you’re technologically literate, you can benefit from its advanced options and set up a custom configuration. Comet Cache is also known as Quick Cache and ZenCache. By taking a real-time snapshot of every page, every post, category and link, then caching them intuitively, the plugin helps save your processing time therefore decreasing page loading times. Comet Cache takes advantage of advanced techniques to determine the moment of sending a cached version. By default, visitors who have commented on the website recently and users who are logged into the system are not served cached pages. As the webmaster, you are allowed to configure the settings from the Settings page. 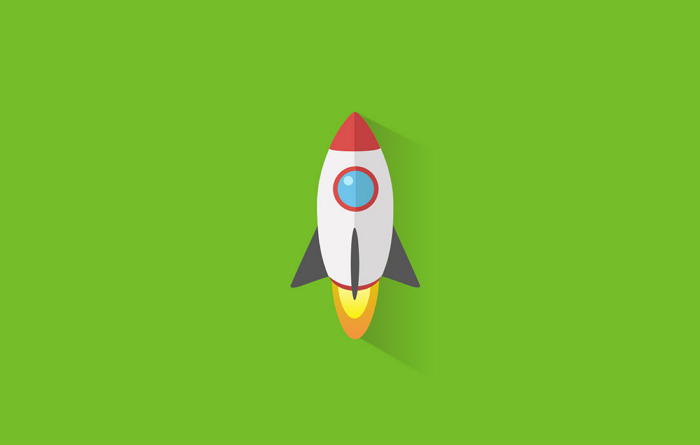 Website speed plays an important role in the overall site performance. The most recommended way to boost your search engine rankings while ensuring your website delivers excellent user experience is using a WordPress caching plugin. Currently, there are so many caching plugins available, free or paid. Your choice should depend on the type of your WordPress hosting server as well as your budget and skill level. Previous articleHow to Move Your Magento Store to Bisend? How to Rename WordPress Database Through phpMyAdmin? Why and How to Use Akismet for WordPress Security? How to Fix mail() Function Error in WordPress? 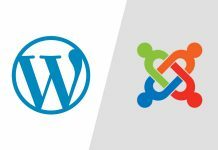 WordPress vs. Joomla! vs. Drupal: Which CMS Is Best for Your Small Business?